ALL VANILLAS ARE NOT CREATED EQUAL. For three generations, Lochhead Manufacturing Company has produced the finest quality Pure Vanilla Extracts available. Premium pure vanilla extract is a complex flavor, comprised of approximately 300 individual flavor components all working together to create it's rich flavor and bouquet. To produce premium pure vanilla extracts it always begins with the beans. You cannot produce high quality extracts with inferior quality beans! 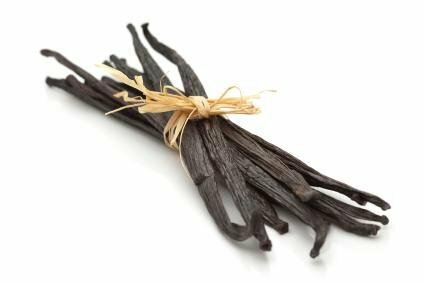 Lochhead Manufacturing Company sources only premium quality sun cured vanilla beans for their extracts. These beans take longer to grow and cost more than twice as much as low quality beans, but they produce the most wonderful vanilla imaginable. These beautiful beans are then carefully inspected and categorized using our proprietary indexing system based on specific bean characteristics. Once they are grouped, experienced personnel blend the beans according to our formulation specifications to maximize the flavor, strength, and aromatic notes. The final step is our proprietary Cold Extraction Process. They do not use damaging heat or pressure to produce our vanillas ensuring the rich deep flavor and delicate bouquet of the vanilla beans are passed on unchanged into our extracts. The end result is super premium vanilla extracts unmatched in the industry. If you have any questions about this product by Lochhead, contact us by completing and submitting the form below. If you are looking for a specif part number, please include it with your message.